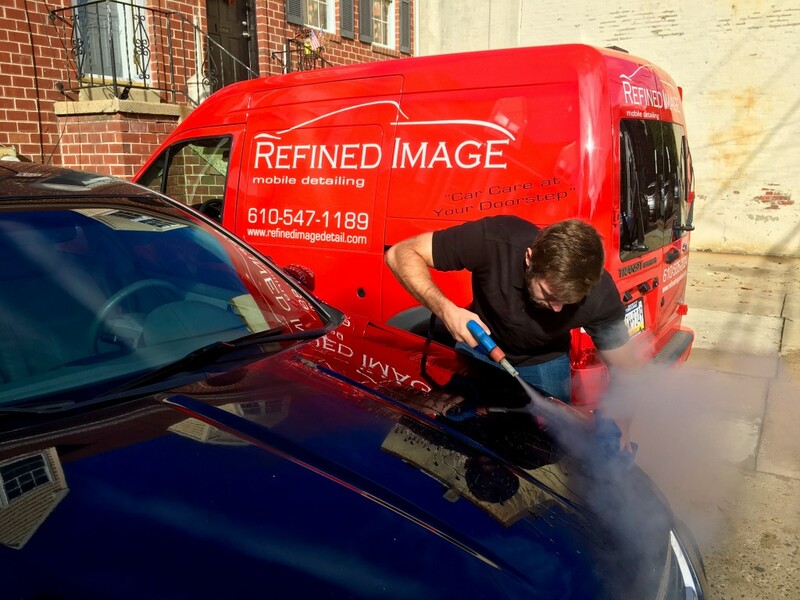 Refined Image Detail focuses on providing the highest quality mobile detail service in the greater Philadelphia area. Through the use of the latest technology, most advanced techniques, and eco-friendly products, we are able to raise the bar when it comes to the industry standard for detailing. The best part is… WE COME TO YOU!! We travel to your home or office and detail your vehicle where it is parked. Also, we are 100% self-contained. We are capable of fully detailing your vehicle without the need of a water* or electrical hook-up. The next best part is… WE USE STEAM!! ** Steam is a very powerful tool. It is used on the interior AND exterior of your vehicle. This allows for an environmentally friendly alternative to a traditional car wash and detail. Not only does steam clean, but it sanitizes at the same time! We detail cars, SUVs, trucks, boats, horse trailers, RVs, and much more!